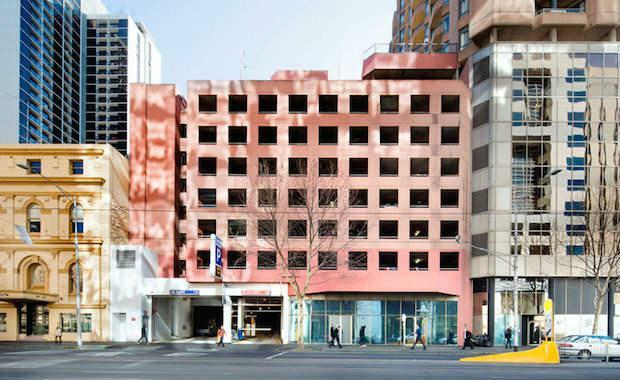 Savills Australia is expected to fetch a price of around $15 million as investors ponder the prospect of on-selling individual spaces with bays typically selling for more than $60,000 each. According to marketing agents Clinton Baxter and Nick Peden, the purchaser will have the option to hold as a long-term passive investment, on-sell individual spaces or take over management of the facility at the conclusion of the current lease. "Either way assets such as this are sure to prove a star performer in any portfolio, especially when you consider single bays typically sell for more than $60,000 each. "With other CBD car parks selling in recent years at $50,000-$70,000 per bay, the opportunity to acquire this asset in the order of $21,000 per bay is extraordinarily compelling, and illustrates the tremendous upside potential." Mr Baxter said. He said the property would be sold fully leased to Secure Parking expiring in June 2015 providing a significant renegotiation or management opportunity. LaSalle Investment Management, comprises 706 bays over eight above-ground levels and is well located within the northern CBD, with an extensive commercial and retail catchment area. Mr Peden said investors loved to own CBD car parking facilities especially given the planning policies aimed at limiting development of additional facilities leading to ever-increasing car parking rates. "Facilities can operate on an automated basis, can trade 24/7, have extremely low maintenance and refurbishment costs, and vacancy is virtually non-existent. "This is an extremely tightly-held segment of the market. Years can pass without a car parking asset being offered to the market. Furthermore, car parks are very appealing to local and offshore investors alike because of the relative ease of management of the asset," Mr Peden said. The property will be sold by Expressions of Interest.